Have you been concerned about possible mold problems? Licensed and Certified Mold Assessor who truly cares? Don’t wait. Call to schedule today! and help keep your rates down. 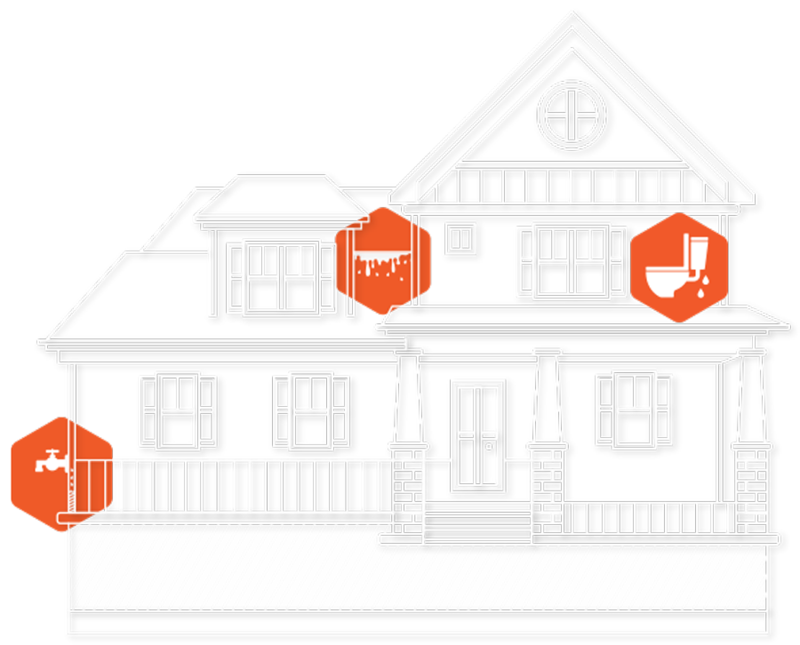 Do you suspect a leak in your home or business? peace of mind with a thorough inspection today! in your residential or commercial building. Concerned about mold? Would you like an independent, unbiased Inspector? Mold inspections are not easy. We can help by using state-of-the-art equipment & inspection techniques to identify mold problems in your home or business. Insurance companies base prices and coverage on many factors. We perform insurance inspections for customers when obtaining new insurance, renewing an existing policy, or when trying to lower the cost of insurance. 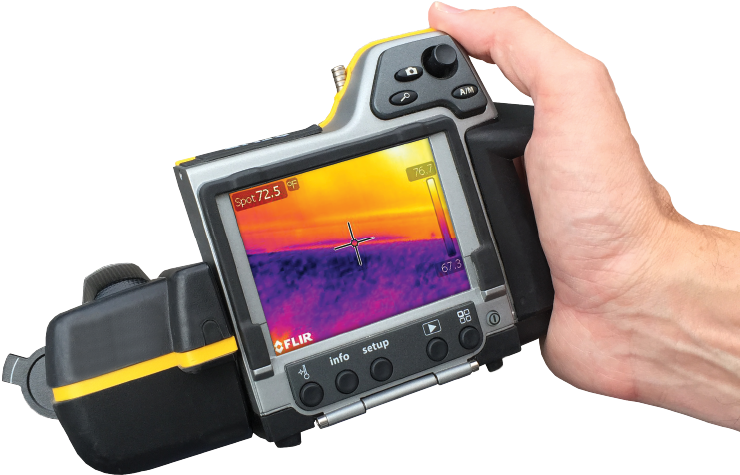 Thermal imaging, also known as Infrared imaging, is an advanced, non-destructive technology that allows Inspectors to discover defects that may not be readily visible or detectable with the naked eye. I am so impressed with the service and level of knowledge! I am so impressed with the service and level of knowledge that Antonio Toro brings to the table. I work for an insurance company and I have been referring my customers to Antonio Toro for all of their inspection needs for about 2-3 years. I am buying my first house next month and I personally had Antonio do my own home inspection and wind mitigation report. He was at my house for about 4 hours. I went with my realtor at the end to meet Antonio at my house to get the report, and my realtor even said that he has never seen such a detailed inspection and such a thorough report. He will be referring his customers to Antonio in the future. 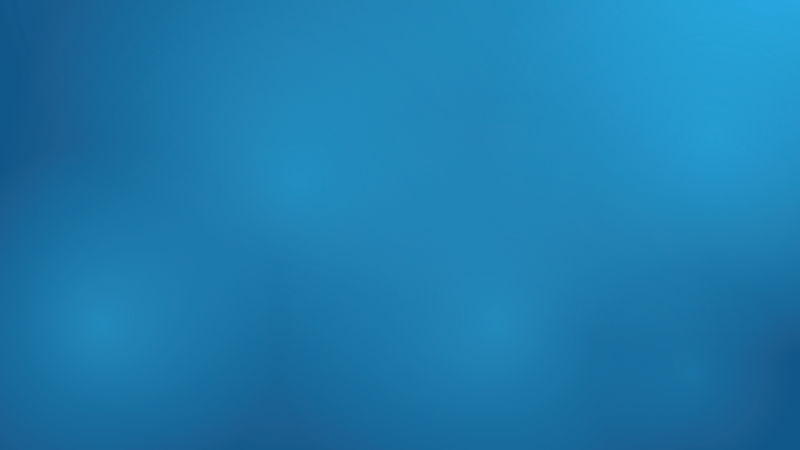 All around great experience and I will continue referring him to my customers! I am pleased to recommend Antonio at FSG for home inspections. As a first time home buyer, I felt confident that Antonio provided me the information I needed to know to move forward with the purchasing of my first home. I appreciated his honesty as an inspector and his willingness to communicate with various members of my family regarding items of concern or recommendations. In addition to the wonderful job he did, the reports were completed within one day of the completion of the inspection. My experience was excellent and I highly recommend Antonio for anyone looking for a qualified, professional, honest, and prompt inspector! I was quite impressed with the thorough job that Antonio did. In today's market, with the Short Sales and Foreclosures, you have to be very careful as a buyer. I felt very confident that he went above and beyond the scope of his job and he took the time to answer all of our questions and concerns. Antonio also made us aware of the types of certifications he has, to assure us that he knew what he was doing. I would highly recommend FSG Inspections to anyone in the market for a home inspection. I just wanted to take a brief moment to thank you sincerely for the great customer service you and your company provided for me and my wife for the recent home inspection you completed for us at our new home in Longwood, Florida. Not only was the inspection done thoroughly in the almost impossible time frame that we requested, you were fast, friendly and available for each phone call we made to you. You helped with each question we needed answered immediately. We all have many choices with which we can conduct our business. You were highly recommended by our realtor. You and your company excelled in the knowledge of what you were doing, professionalism and customer service. We were 100% completely satisfied with your inspection. We will highly recommend you and your company, Fortified Structures Group LLC (FSG Inspections) to anyone looking for his or her home inspections needs. Firstly let me say, I am a first time homebuyer, no clue whatsoever of the processes involved in purchasing a home. I am also a New Yorker who has only been to Florida once and that's Fort Lauderdale. I was told that the house that I had chose needed to be inspected. Thankfully with the help of my Realtors they introduced me to Fortified Structures with contact to Mr. Antonio Toro. You could imagine how unknown everything was to me! Needless to say I spoke with Mr. Antonio Toro who specializes in home inspections and became right at ease immediately, he took all of the info, found the house online and immediately gave me a price, which I might add was excellent and well worth what he was about to do. They inspected my new home like a fine tooth comb, with pictures, explanations and solutions to repairs. When the inspection was completed, I was emailed within 24 hours with a full 90 page well documented pictured inspection. I cannot tell you how pleased and impressed I am by the work done by the inspector Mr. Antonio Toro of Fortified Structures. He is excellent and very experienced at what he does and I highly recommend them one million percent and will hire them again and again. Kudos to you and your company on a job well done and a very pleased customer. You can be assured that I will be recommending your company to all prospective future home purchasers that I know. Thanks in advance. We would, without hesitation, recommend his services to anyone. We are in the process of purchasing a new home. This being the biggest investment of our lives, we wanted an inspection done by someone who would look out for our best interest. I spoke with Mr. Toro over the telephone and he answered all my questions and made me feel at ease. For this reason, I hired him to inspect our future home. We were greatly impressed with his standards of practice and code of ethics. The inspection was very thorough as promised (it took approximately five hours). We would, without hesitation, recommend his services to anyone. I want to thank you, Antonio, for all the home inspections you have provided to the City of Kissimmee Neighborhood Stabilization Program (NSP) through Florida SPECS Inc. Each inspection report submitted is very in depth and we appreciate the conscientious effort you have taken to provide such a detailed report. The key to any successful business is selecting the right partners who are honest and competent. We have found just that in Fortified Structures Group LLC -Home Inspection Services. I feel very confident with the service your company provided us and will highly recommend your services to anyone that needs a home inspection. I highly recommend FSG Inspections for anyone's home inspection. Their inspector Antonio was very professional and extremely detailed. He took his time and made sure to check every facet of the house, from the most minute to the most critical structure. He treated every part of my home with the highest attention to detail. Home Inspection could not have been more THOROUGH! We would like to say that Antonio Toro with FSG Inspections was not only very professional, but also has very good work ethics. His Home Inspection could not have been more THOROUGH! We would Highly recommend FSG Inspections to anyone. 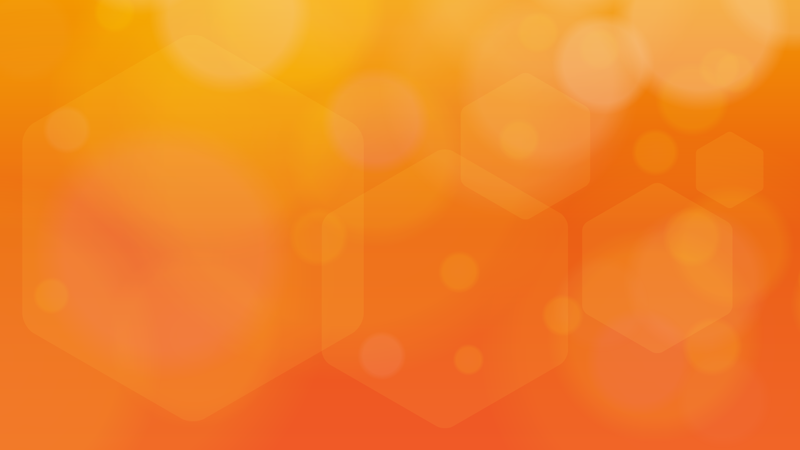 fast service, well made reports, and great credentials has made a difference in our office. Antonio's professionalism in the work he does for all our clients combined with fast service, well made reports, and great credentials has made a difference in our office. Antonio performed the home inspection on my house. Antonio was extremely meticulous and professional throughout the entire process. The inspection report was incredibly detailed, yet presented in a way that made it very easy to read. Antonio's passion and desire to produce a quality work product was abundantly evident in the services and product he provided. Thanks again Antonio. It is with sincere pleasure that I recommend Mr. Toro and his associates at Fortified Structures for home inspections. After searching various web sites and inquiring on price, I had the fortune to speak to Mr. Toro. Prior to the visit he went into detail of what his inspection would entail and the software used to compile the data. His professionalism and honesty were apparent from day one, and he did not disappoint. His assessment of the property took over 4 hours, and he compiled a very detailed 35 page report complete with pictures, and explanations of the repairs needed. This was an incredible asset given I planned to do the repairs myself (and if you ask for reports from others you will see not all reports are the same). He also walked the property at the end of the assessment and explained and identified all the trouble spots. The report was electronically available in about 2 days which made it easy to submit to our agent, and our insurance adjuster to make the closing as prompt as possible. So it's without any hesitation that I recommend Fortified Structures for any home or business inspections. <h3>It really was a great experience and we felt very comfortable!</h3> Thanks for the excellent job. It really was a great experience and we felt very comfortable moving forward on the home purchase knowing that the house was sound. Your written report was outstanding, and having all the pictures in the report will also help us with some of the minor repairs we will make to the home. The personal walk through after the inspection was really a nice touch, and I felt that you were very honest in your answers. I would surely recommend your services to anyone needing a home inspection. I have been through this process in the past, but I had never experienced the degree of customer support you have shown during this whole process. My husband and I were both very impressed with the completeness of your inspection and the detailed report, including pictures of the items that were described. You probably saved us from making a costly mistake in buying a property that was not even close to move-in ready as the realtor had stated. We will definitely use your services in the future as we are still looking for our vacation home. Thank you! We were so enthused with the attention to detail you provided! Thanks for doing a very thorough inspection again. We used your services for the second time because we were so enthused with the attention to detail you provided in our last pre-purchase inspection. We feel more comfortable about investing in this vacation home after your inspection report. I would recommend your services to anyone who is planning to buy property. 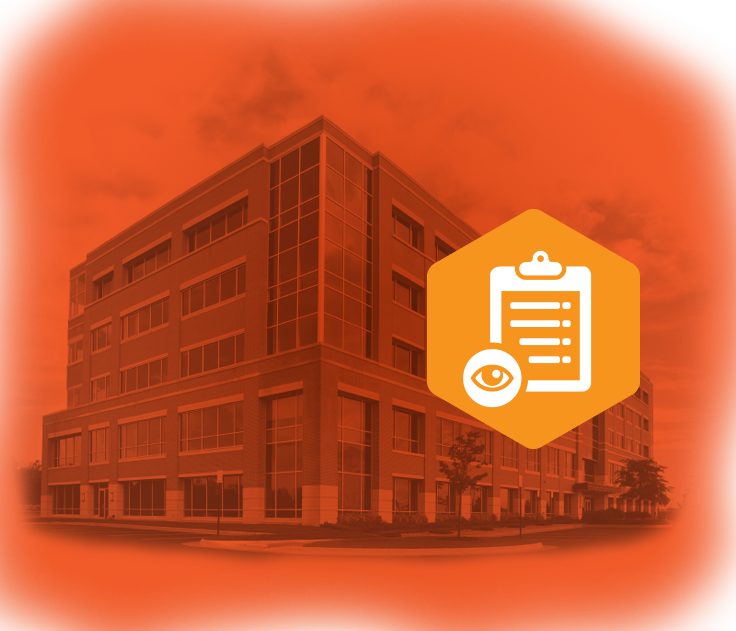 Your written report is the most thorough that we've seen yet still easily read. Just wanted to take time out to say how much we appreciated your business practices. You took ample time to make sure that you looked at everything that you could. You made sure that during the walk through we saw what you saw, understood what the issue was and what we needed to do to fix it whether it was something simple we could do or if we needed to hire a professional. Your written report is the most thorough that we've seen yet still easily read. Thank you so much!!! We will refer you to anyone needing a home inspection!!! This report was very detailed and the quality of the pictures was awesome! I want to thank you so much for your professionalism and prompt responses to my calls and voicemails. You not only made me feel like a valued customer, but that you valued my business. I could not believe how quickly you could inspect the potential home I am considering purchasing and how I received my report the very next day. This report was very detailed and the quality of the pictures was awesome! I actually felt as if I was there in person. I appreciated the detail comments on the inspection report and comments on the repairs needed. This will make my decision in purchasing this home a lot easier. I would highly recommend your company, as your company was highly recommended to me. I also forgot to mention thank you for arranging the WDO inspection for me. You went the extra mile for a customer and you saved me time in searching for someone. In closing I would like to thank you again for your time and professionalism. FSG inspections was very intense and detailed with pictures and explanations of each defect that was found, as well as explanations of past and possible future problems that had or could occur. They were very informative, and kept my wife and I up to date on each step of the evaluation. We would strongly recommend FSG to anyone- especially those leery "out of staters" like us, who came in "blindfolded" and lucked out with an honest and reliable company! Thank you FSG! The report that they provided me was exactly what my insurance company was expecting and asking for. I was very happy with the service that FSG provided for me, they were very professional and had one of the lowest prices. I had another company do a Wind Mitigation for me and they did a very poor job, that is the reason I had to have the work redone by FGS. The report that they provided me was exactly what my insurance company was expecting and asking for. Thank you so much for a job well done. First off, Antonio is one of the most professional people I've ever met. He's courteous, knows his business and he TRULY cares. I felt he had my best interest in mind at all times. He takes what he does very seriously and he wants to help. I trust he performed the inspection very thoroughly. I would highly recommend him. Antonio with FSG did a thorough inspection of our home for mold and mildew. He guided us through the process and was fair and reasonable about his charges. He went above and beyond when it came to explaining the reports and being there for us as we worked to implement his suggestions to our contractor. We had a very difficult situation and a lot of water damage in the walls that was there a long time before we purchased the home. With Antonio's help, we were able to identify additional issues that the contractor missed and really remediate the house of all mold and mildew. We have now lived here for 4 months and are very happy. Thank you for the peace of mind Antonio! Antonio Toro of FSG Inspection and his team gave me five star quality service. Antonio is a true professional. It's great to see someone that enjoys what they do and have that reflected in their work and treatment of his clients. I was referred to Antonio by a good friend of mine who highly recommended his services and I now second that. I called Antonio in desperation after waiting 5 months to close on a short sales purchase, a week before close my bank decided to ask for a Mold inspection and Mold Remediation. I explained my urgency to Antonio and he went above and beyond my expectations by scheduling me outside of his regular business hours just to get me and my family into a home that we were made to wait so long for. Antonio not only worked out a schedule for me at my convenience but also gave referred a remediation company that has also done a great job for me. Antonio also came back a second time to conduct air samples after the remediation and provided great insight into the mold test readings. I highly recommend FSG Inspections and give them a big five stars. Thank you! This is a true inspection service, not the sales arm of some cleaning, exterminating or construction company. We contacted FSG on the recommendation of a person in the business of mold remediation. It was more than worth the cost. This is a true inspection service, not the sales arm of some cleaning, exterminating or construction company. FSG has no interest in performing (or not performing) any procedure. It deals in solid, non-biased advice based on expert knowledge. This is not some wall thumper. Mr. Toro used impressive scientific equipment to measure the humidity level, sample the air inside and outside the house, and to look for possible sources of moisture in our house. He answered our questions fully and completely. To our relief, no plumbing or structural leaks were found. The mold in our house was due to higher than acceptable humidity levels and will be corrected using a good quality dehumidifier. Thanks to this inspection, we will choose an appropriate and cost-effective solution. Thank you, FSG! Not only is Antonio a polished professional, he is a gentleman as well. Antonio did an amazing job of not only a thorough inspection, but taking the time to clearly "dumb it down" for me and most important give me peace of mind. Not only is Antonio a polished professional, he is a gentleman as well. I would recommend Antonio to anyone without hesitation. Antonio very clearly cares about the well-being of each of his clients, rather than most inspectors we've dealt with, who only care about the bottom line. Antonio Toro of FSG Inspections provided exceptional honest service during our remediation for mold and water damage. He was very knowledgeable and informative, and explained each step of the process as did his inspection. His report was very thorough and instrumental in aiding us in as we dealt with the unexpected nightmare of discovering large amounts of mold in the walls near one of our bathrooms and in our daughter's room. Antonio very clearly cares about the well-being of each of his clients, rather than most inspectors we've dealt with, who only care about the bottom line. He went above and beyond, taking the time to explain his report in detail and making an awful situation easier to deal with. We absolutely appreciate his services and would highly recommend him to anyone we know! I would recommend him and his company's services without question. Antonio Toro exceeded my expectations. He was very professional, informative, on time, quick to respond back to my phone calls and an overall pleasure to deal with. He had to come to my home 3 separate times for the initial test and retests because once the company that did the remediation did their job the retest showed there was Stacky in the air sample. Antonio kept me informed throughout the process which concerned me since this water leak was going on for about 3 years and I did not notice is because it was such a small leak and most importantly we have a 2 year old son. We had the remediation company come out for the second time and they also did a good job. The final test showed all clear. I was very happy and pleased with Antonio's services. I would recommend him and his company's services without question. Antonio Toro's inspection capabilities are unmatched in central Florida. Mr. Toro came to my house due to a major water leak that occurred over the summer. I was mainly concerned with the possibility of mold in just one area, but requested he thoroughly inspect the rest my home. Antonio used a thermal imaging camera and was able to show me first hand the exact location of the water within the drywall, ceilings, and under flooring. The thermal imager even showed the saturation levels of water in one area vs other areas. I was amazed by the accuracy of his inspection, as a few of these issues may have never found without that technology, or his expertise. After I had water restoration completed, I had him return to complete a round of air sample tests to ensure my home was mold free. He provided a detailed and thorough inspection report in which he discussed the results in length with me. My youngest son has asthma so he provided priceless piece of mind, when he told me my house was completely clear of any toxic molds. My husband & I have since used his services for two other properties to be inspected, and can always trust Antonio to provide a prompt, thorough, and accurate inspection report. I have referred numerous friends & neighbors that have all been completely satisfied as well. We will continue to remain loyal customers to FSG Inspections for all of our future inspection needs, as there truly is no competition in all of central Florida. Antonio Torres inspected our house for mold. The service that he provided was above and beyond our expectations. Mr. Torres not only took his time but he was kind, honest, helpful and recommended several options how to prevent mold in the future. We like him because knowing that he's not offering any remediation he would not try to sell anything or make to report worse sounding that it actually is (as we had the experience with other contractors) Overall an awesome service and we would recommend Antonio to friends, family and neighbors!!! Capable, dependable, trustworthy and courteous are how I would describe Antonio and this business. Antonio Toro was informative, answered all questions and was able to explain everything involved with this process. Antonio is a true professional, he arrived promptly and we both were confident with him and this company. Capable, dependable, trustworthy and courteous are how I would describe Antonio and this business. The office staff was helpful to me and to my mom and setting up an appointment was both easy and convenient. We highly recommend! Mr. Antonio Toro was recommended to me in order to complete a full mold test and remediation protocol. He was very responsive to phone and email with responses and return calls in a timely manner. We met at our residence in Rockledge, FL where he was informative and thorough in the testing. The protocol and very detailed evaluation / remediation protocol was quickly produced and submitted directly to our insurance without any out of pocket expense on our end. I appreciate when people take their positions seriously, are on time, and conduct themselves in a professional manner during a business relationship. I feel that I received exactly what was expected and would not hesitate to recommend his services or utilize his services in the future. Antonio does not jump to conclusions - instead, he gathers all of the data and then works towards finding the solution. As an airline captain, I'll be the first to admit that I'm a pretty tough customer. That is why it gives me great pleasure to write this unsolicited Letter of Recommendation for Mr. Antonio Toro from FSG Inspections. I first met Antonio when he became involved in the air quality sampling for a rental condo that I own. The condo had a mold issue that required remediation. Florida State law requires that the company that remediates the mold cannot also be responsible for the testing. Antonio came highly recommended. When I first met Antonio I was impressed by his punctuality, knowledge and experience. He is very detail oriented and professional. I believe that his air sampling equipment is technologically advanced and reliable. The laboratory that he utilizes produces a very comprehensive and readable report. At my request, Antonio returned six months later to conduct a second round of air analysis. I was impressed and grateful that he was willing to discuss the air sample tests results with my tenants. This courtesy put my tenant's mind at ease that their home had been properly remediated. Antonio has also assisted me in another project for a water leak source investigation. In this case, he utilized an advanced infrared camera to help identify our problem. I recently invited Antonio to become involved in a project involving a neighborhood water intrusion and mold issue. I have been extremely impressed by his sensitivity to the situation and his "Out of the Box" recommendations and suggestions for addressing the challenges. Since he is a licensed and insured contractor I'm confident that that his expertise will be of great benefit. Mr. Toro is very personable. He is also a very good listener. He asks insightful questions. Antonio does not jump to conclusions - instead, he gathers all of the data and then works towards finding the solution. Antonio takes pride in the quality of his work and he cares about the customers he serves. It is with complete confidence that I recommend Mr. Antonio Toro and FSG Inspections! Antonio Toro of FSG Inspections, was a breath of fresh air to the inspection business. Antonio Toro of FSG Inspections, was a breath of fresh air to the inspection business. It was FSG that found mold in a new home in Orlando, Florida. If not for a thorough and decisive report we would have been stuck in a health hazard with no escape. Additionally his 43 page report clearly and concisely documented numerous flaws and serious imperfections with the home. His professionalism and expertise along with a multiple hour inspection proved an easy decision. With the most expensive investment you will ever make it is a necessity to get a home inspection whether new or old. The next home we found by another builder did also have flaws but nothing major. With a detailed report including state of the art equipment his thermal imagining camera allowed us leverage with the builder to have every discrepancy fixed. Pictures and images do not lie. We are happy in our new home with no significant problems thanks to Antonio Toro And FSG. If you are looking for honesty, intelligence and thoroughness then they are your company. Thank you once again FSG, Arthur, Donna and Patricia. The attention to detail with the pictures and comments were wonderful. FSG INSPECTIONS are highly RECOMMENDED!...This has been the best inspection report I have ever read. Your thorough and detailed explanations were very important to us. The attention to detail with the pictures and comments were wonderful. My next property will certainly be inspected by FSG. 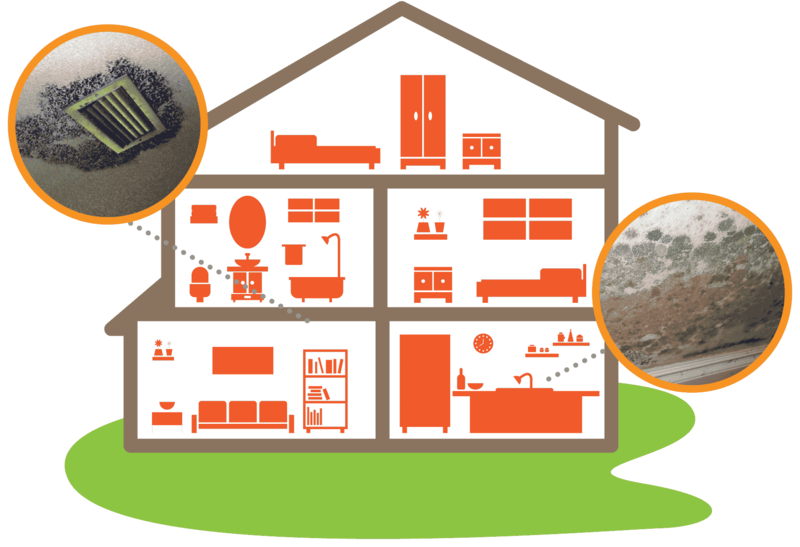 The thought of mold in your home or business isn’t just unappealing. According to the United States Environmental Protection Agency (EPA), it can also cause significant health problems, particularly among vulnerable groups such as children with asthma or adults with existing lung conditions. 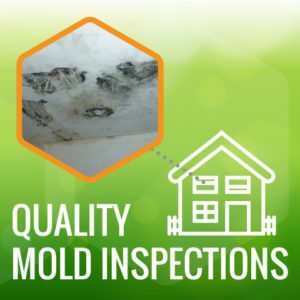 If you’re moving into a property, or have been living in one for a while and noticed dampness, leaks, or past water damage, it is always worth having a mold inspection and assessment performed in order to understand what sort of issues you’re facing. 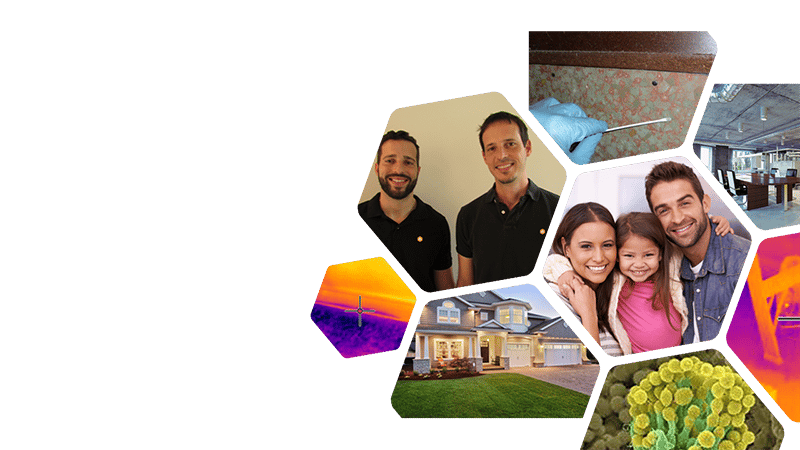 We are an established provider of high caliber, thorough mold assessment and other indoor air quality testing, serving homes and businesses in and around Orlando. Mold thrives in damp conditions. 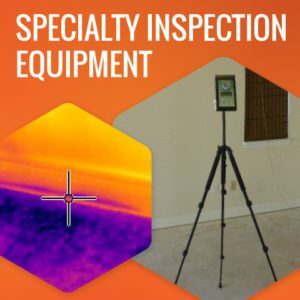 In addition to a visual inspection, when we visit your property for a mold assessment we carry out thermal imaging, moisture detection with a moisture meter, and humidity identification with a hygrometer. We also may perform mold sampling with a bio-pump and particle counts with a laser particle counter. The visual mold inspection of the property, along with our sophisticated specialty inspection equipment and sampling give us the pieces of information that allow us to put the puzzle together so we can present our findings and, if necessary, produce a remediation plan that will bring your property back to how it was before your problem(s) started. Do you want to lower the cost of your home insurance? Consider having a Wind Mitigation performed on your home. As Floridians we are well aware of the damage that can take place from wind and water damage caused by Hurricanes and Tropical Storms. Not all homes are created equal. The government of Florida understood that and in 2005 started Wind Mitigation Inspection credit program. 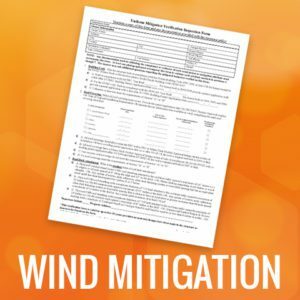 Wind Mitigations allow for homeowners and insurance companies to understand how homes are built in key areas that can help minimize the possibility of damage from high wind events, such as Hurricanes. Many homes currently are built with wind resistive features, which can help homeowners save money on their insurance once they have a Wind Mitigation performed. If a Wind Mitigation is performed and there are areas for improvement, you may be able to retrofit your home to harden it from damage and also save money on your insurance. Many people save hundreds of dollars on their Home Insurance on a yearly basis. For more information on Wind Mitigations, please check out our wind mitigation page under our Insurance Inspection section of the website. 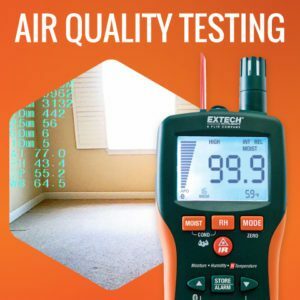 We are committed to providing all of our customers with the high grade, accurate, and unbiased air quality testing they need. 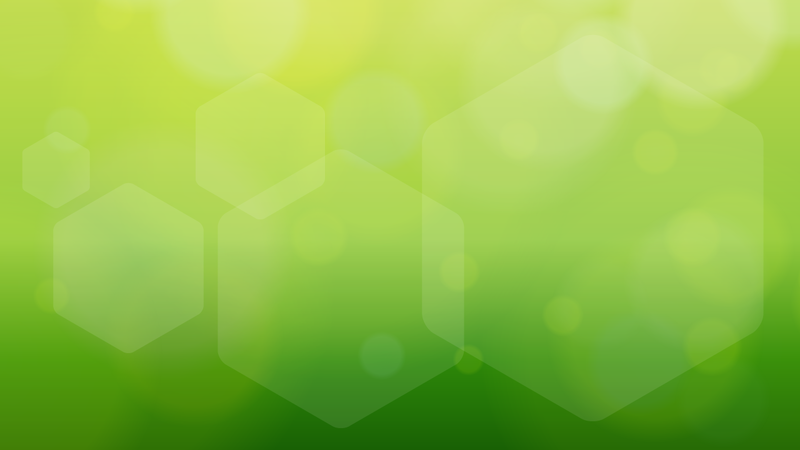 Because we don’t undertake mold remediation, HVAC work, reconstruction, or other or air quality improvement work, we have no vested interest in making things appear worse than what they actually are. We just provide the impartial information you need to make the right decisions for you and your family’s well-being. To find out more about what we can offer, call us at (407) 721-0594.